Just a quick note to thank you for an excellent experience on re-roofing our house in cedar. It was a big leap for us and your personal patience and technical knowledge were outstanding in helping us make that decision. Your crew, led by Adam, were also excellent and a pleasure to have on the property, clean site and courteous. They delivered exactly as promised. We could not be more pleased with the job. 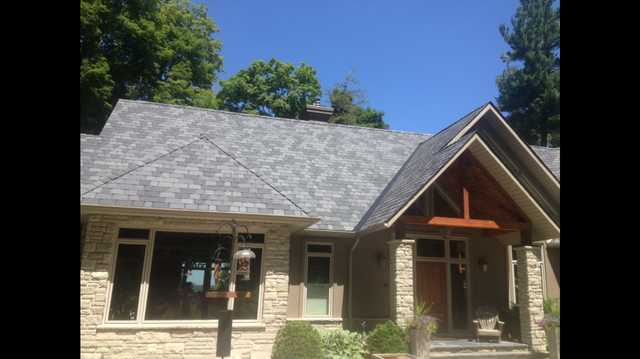 We are more then happy with the work that Andrew and AM Roofing provided us. They started and finished right on time (even in the cold of winter), were happy to answer any and all questions we had and there were no hidden fees. We will use AM Roofing again and have already recommended it to friends and will continue to do so. Thank you for your review about AM Roofing London! We are glad you had a positive experience with us and hope to do more for you in the future. Thank you for your review about AM Roofing London! We try our best to give quality and family like service. All of us here at AM Roofing London are so happy that we had the opportunity to repair your roof and give you a positive experience. Thank you for your positive review about AM Roofing London! We welcome good or bad, so that we can improve where we need. We are extremely proud of our guys here at AM Roofing London, and we are glad they made your experience a good one! Andrew, our primary contact, explained the process in detail when going over our quote. He took the time to review different options including just patching areas of the roof. His honesty, patience and explanation of AM's products and services made us feel very comfortable with our decision. The crew foreman was excellant! He ensured our safety as we came and went while the work was on going, explained what they were going to do and took the time to address our questions during the day. The crew were friendly and punctual. They worked during extreme heat and completed the roof on time. 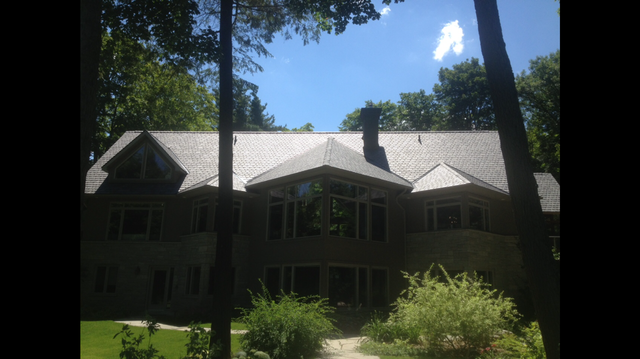 We have received several compliments about how amazing our new roof looks. We would recommend AM Roofing to anyone! Thank you for your uplifting review about AM Roofing London! We feel it is our job to inform everyone of all their options, as the bottom line is, it is your ultimate choice what you do with your home. 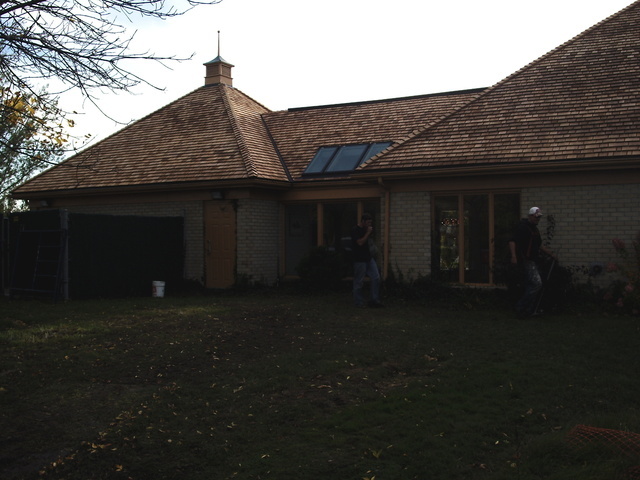 All of us here at AM Roofing London are so happy you chose us to beautify your your home and put your trust in us. I was thoroughly impressed by AM Roofing. The guys were amazing - quick, proficient, professional and cared about their work. They also did an amazing clean up job afterwards. - you wouldn't have even known they were there (except for the beautiful new roof). I would not hesitate to recommend AM Roofing to any of my friends or family. Thank you for your lovely review of AM Roofing London! We are extremely happy to know that you would recommend us to friends or family. We try our best to treat you like family and not just another customer. 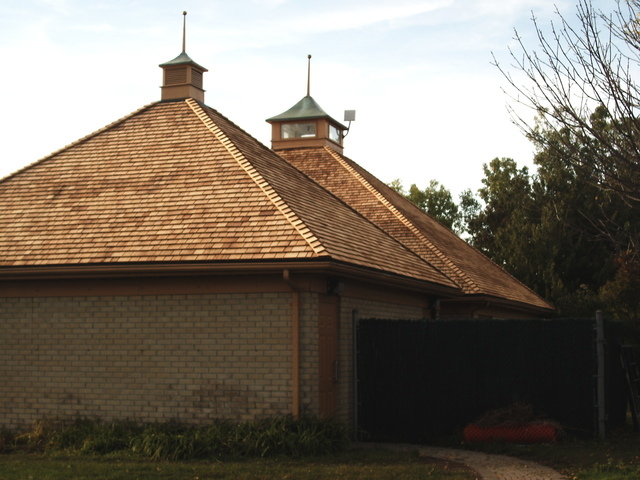 We know you will enjoy your new roof for years to come. We hired AM Roofing Solutions Ltd. because their pricing came in the right range, their quality and guarantees seemed excellant and their knowledge level and care in the quote was impressive. They came on the day that had been booked despite a crazy heat wave and the men worked carefully and methodically throughout the day. They were careful to keep the workers hydrated and looked after and the workers did a great job. They were careful and respectful of our property and the cleanup was done very well. I was very impressed with their work and would feel comfortable recommending them to others. Thank you for your honesty and positive review about AM Roofing London! We appreciate it very much. 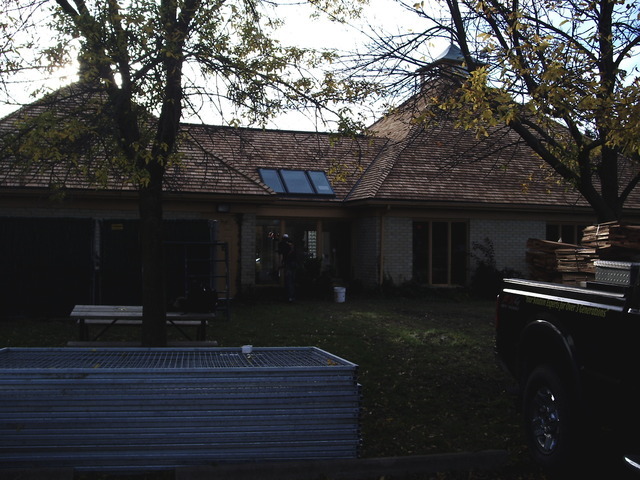 AM Roofing London strives to take care of your property like it was our own and our employees like they are family. In one day they were able to replace the shingles on my roof and install gutter guards all while taking care to not damage existing landscaping. They also added insulation in a few spots while they had the plywood exposed and they could get underneath. They came back at a later date to increase the R factor of our insulation to 50 in our attic. We actually did notice a difference (in a day or two) of about 5 degrees Celsius when we had the central air running in the second floor. To put things in perspective, one of my neighbors road also had their roof done but hired a fly-by-night company and it took a week to complete. 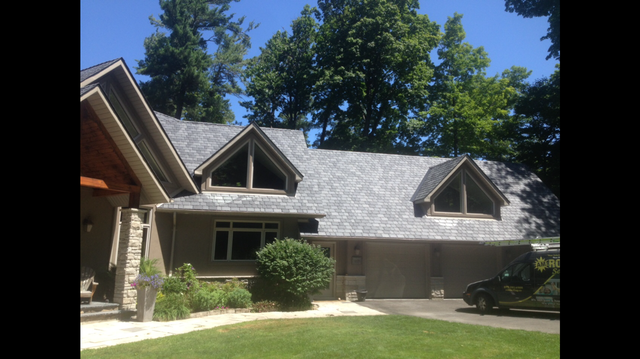 If you are looking for a reputable company to do your roof, look no further! Thank you so much for your review for AM Roofing London! We try our best to be the best and get things done in a timely manor. We wouldn't want someone on our roof for a week and neither should you have to. AM Roofing London is glad that you have noticed a difference on the second floor with your central air. Surely you will notice a difference in the winter now too. Thank you again. For Home : This is the second time I've used AM Roofing for my home. Reasonable price exceptional service. Had used initially in Owen Sound to do my home and business. When we moved to Southern Ontario I contacted them to do our new home down here. Excellent working relationship and a feeling of trust. Completely satisfied with their work. Thank you for the positive review about AM Roofing London. We are happy to know that you are completely happy with our work and pricing. We like to treat our customers, how we would want to be treated and treat your home/business like it was our property.